Most of us have stood in line somewhere, but it’s usually because the place we want to enter is “cool” or “up and coming.” Recently, however, I’ve been experiencing a different kind of popularity (aka productivity, aka success) – popularity built on authenticity. Bruce Turkel, a great blogger and marketing consultant to the travel industry, recently wrote about knowing what business you are in. In the post he referenced a statement made by Tom Monaghan, founder of Domino’s Pizza. In a conversation about his company, Monaghan claimed that he wasn’t in the pizza business. Rather, he said that he was in the food-you-can-get-hot-in-under-30-minutes business. The point he was making is that Domino’s isn’t the best pizza and it never aspires to be. It aspires to deliver hot food within 30 minutes. And by focusing simply on doing that one thing well, it’s both authentic to its mission and hugely productive (aka successful). 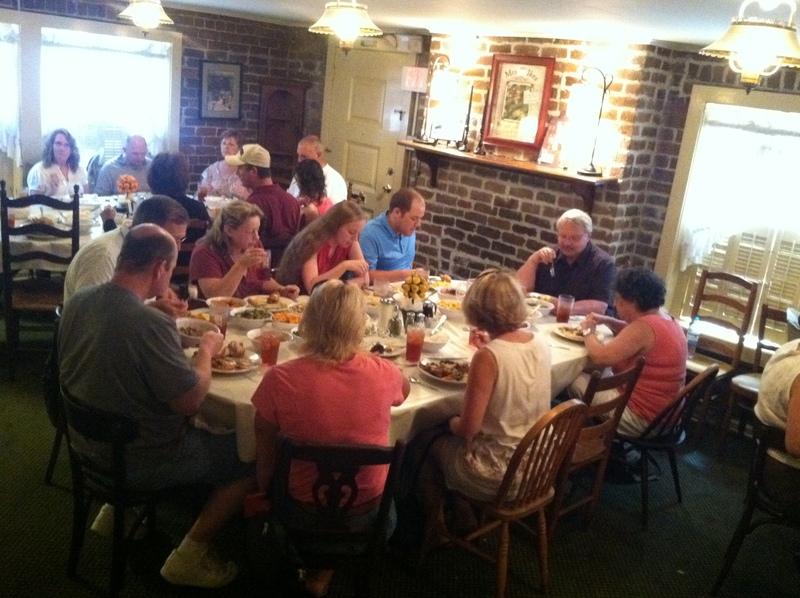 And while we’re on food examples, we recently had the pleasure of dining at Mrs. Wilkes’ Dining Room in Savannah, GA. The business model is simple. It’s open from 11 AM to 2 PM, Monday through Friday. That’s right: lunch. We were told to be there no later than 10:15, at which we scoffed. It was a Tuesday! As we approached the address at 10:45, we could see the line stretching down the block. Since it was our last day in Savannah, we waited. There was no choice, because the front do was locked! No one gets in until they’re invited in. I don’t need to tell you that the food was unbelievable – in quantity and quality. The food was served family style to our table of 10 (one of about eight in the restaurant, pic at left). After forty minutes, we were served peach cobbler and told that it was $16 a head, to be paid as we left. It was the politest dismissal we’d ever received. 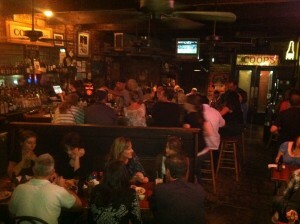 And, of course, the line still stretched down the block as we exited the establishment. These culinary experiences point to the same thing – being authentic by doing what you do best results in a productive result (i.e., that’s right – success). In each case, the business disregarded most of the conventions of their industry and focused on the key elements that made up their unique value proposition. By doing so, their authenticity rose above the chatter of competition resulting in high demand – the most visceral measure of productivity in the business world. We often discuss productivity in terms of micro-actions – small things we can change to make things run more smoothly day-to-day. The productivity focused on here is the big picture kind. It’s the kind the looks both at what needs to be done today, as well as what the path to success looks like and what needs to be done to stay on that path. Domino’s serves up hot food quickly. Coop’s Place serves up unadorned low country food in a tavern atmosphere. Ms. Wilkes serves up lunch just like Mom did. What do you serve up? This entry was posted in Lifestreaming, Work/Life Balance and tagged doing your best, focusing on what you do, productivity through authenticity, success and productivity. Bookmark the permalink.